When Life Hands You a Lemon, Make Lemonade. Then Plant an Apple Tree! Twenty people wearing signs that read $100,000 or JOBS COMMITTEE attended the ANIZDA Board meeting Wednesday night at City Hall. (The ANIZDA Board is the authority responsible to oversee construction projects in the Neighborhood Improvement Zone such as the Arena and City Center.) Many of those in attendance also were at the NIZ Jobs night at our church last week. CeCe Gerlach, Paulette Hunter and Preston Lee, as well as four or five other residents, addressed the board about the jobs issue. Many concerns were expressed, however we specifically requested funding for a caseworker at the downtown Jobs Center. At this point it functions more like a sub-station of Career Link than a Jobs Center. Nancy Dischinat, Executive Director of the Workforce Investment Board, told us recently that they nearly had spent the initial $100,000 earmarked for the center. When asked what Career Link needed at this time, she and her staff identified: a caseworker and funds for training. Another $100,000 probably would be about right. In the lively discussion about these matters at the end of the meeting, board members Bob Lovett and Nelson Diaz asked good questions and made suggestions about ways Career Link might most effectively work with Allentown residents. Other board members nodded with understanding as CeCe made her case. Perhaps sensing the impatience in the room, Sy Traub explained that this was the first time the board was hearing about these issues and he suggested we have some months before job openings will be posted anyway. Several of us clarified the difference between preparing the list of jobs to be posted and preparing people to be ready to apply for those jobs. The latter takes time, and for some people it may take a lot of time, depending upon the individual. I informed the Board that the impatience they were hearing from some of us is because we attempted to get these kinds of conversations underway more than a year ago, with no success. Following the meeting, several people suggested I should just be happy that this discussion finally is happening…. I am. I understand: if you don’t get exactly what you want, make the best of what you get. So, yes, that’s what will be done. A lot of people will make do and make lemonade. But don’t forget, it didn’t have to be this way. This didn’t have to happen in the final months. I hope ANIZDA Board members and city officials realize there is a lesson to be learned. As we look ahead to the waterfront projects, wouldn’t it make sense to put these kinds of discussions about jobs closer to the beginning of the process instead of at the end? And to my friends and colleagues in this effort, I’d suggest that while we’re drinking lemonade, we should plant an apple tree. Plant the seeds now to organize the community for greater involvement in the future. 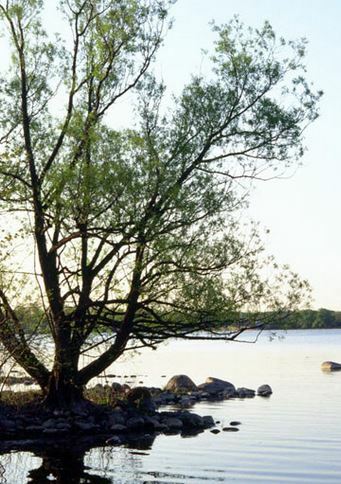 Then we shall be like a tree planted by the waters….